I avoided watching Disney’s Frozen for a long time, no lie. I hate overblown hype despise maniacal product placement, and unfortunately kid’s movies suffer through the worsr of it (remember Tangled? Ugh). I did finally get around to seeing it though, and it’s an utter delight. 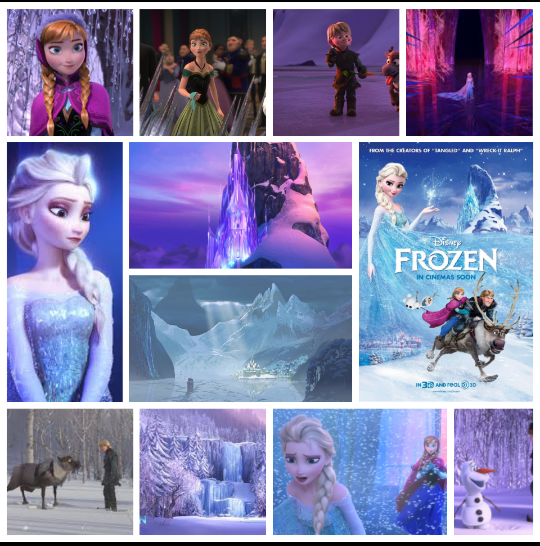 A little thin in the plot department, mind you, but that’s where the Disney wizards compensate with stunning visuals, effervescent voice acting and of course that legendary, now iconic song, belted out by Idina Menzel’s Elsa high atop a snowy peak. I heard that song played into oblivion before I ever saw the film, and didn’t ever think I’d be able to enjoy it again without getting the ol’ eyelid twitch, but seeing the real thing in the context of the film, with a little help from my home theater system, well…. let it go indeed. Menzel and Kristen Bell are touching as the two sisters, Anna the doe eyed princess with the world at her feet, Elsa the fierce and independent rebel who doesn’t fit in. Her magical abilities with snow and ice allow for some unbelievable computer effects, and the ice palace she creates is a gem of a set piece, intricately woven and detailed to the max. Their castle down below is designed with traditional Germanic decoration in mind, a nod to the inspiration they have no doubt received from Hans Christian Anderson’s original storybook, The Snow Queen. Like I said before, what’s there in plot is spread pretty thin, but it’s no matter, because this one is fuelled by visuals. Sweeping mountains packed it powdery snow drifts, ornate castles, beautifully designed costumes, sleds, dresses and animals, including Sven the rambunctious reindeer. It’s a jewel of ocular achievement. Oh and I might add, that Swedish sounding dude who runs the little shop way up the mountain is probably the funniest character Disney has created in years.